Gifts for people who haven't fully succumbed to genealogyitis, just push them over the edge this Christmas. You know you love having one more genealogy friend! This post contains affiliate links (I know you're shocked, a gift guide with affiliate links). This is one of a series of gift guides for specific recipient types or gifters. Some suggestions are reproduced rather than making you follow a series of links. I think I make this recommendation in every gift guide. However, in this case, this might be why you have an "almost" genealogist you need to give a gift to. If not, it will probably drive them straight into genealogy's clingy, never releasing arms. 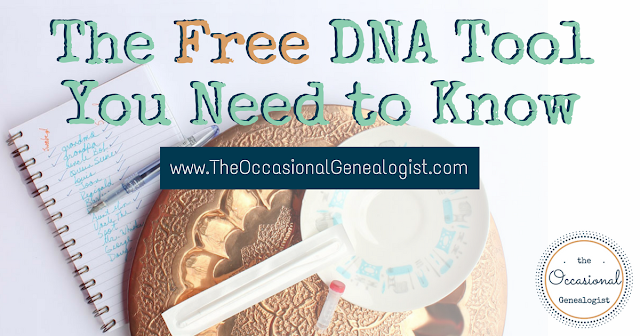 My first recommendation is a DNA test (if you're surprised you need to read more of this blog). I recommend getting your kit from FamilyTreeDNA (FTDNA). Here's why. Cheapest everyday price on autosomal DNA tests (probably what you're ordering, called "Family Finder" at FTDNA). ONLY company offering the other two types of (currently) available genealogical DNA tests (Y and mt). Swab test. Some people can't manage the spit test required by AncestryDNA and 23 and Me. If this is a surprise (as many gifts are) this is probably the number one reason to go with FamilyTreeDNA. Excellent in-house analytical tools plus great third party tools, available. Phasing of results (if you've had multiple relatives tested) plus, options to connect testees to people in your tree. 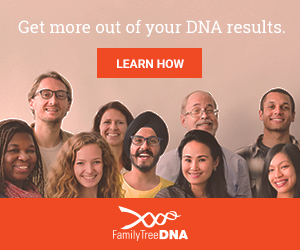 You could get almost the same benefits (less #2) from MyHeritageDNA (and MyHeritage uses FTDNA's lab so it is super easy to add a YDNA or mtDNA test via FTDNA, there's even a button to do it, super easy). 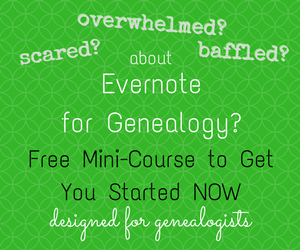 How about starting genealogy the easy way, with stories! StoryWorth is a service not just aimed at genealogists. Their core service is via email (with other options). This is a year-long gift. At the end of the year, the stories are bound as a book. 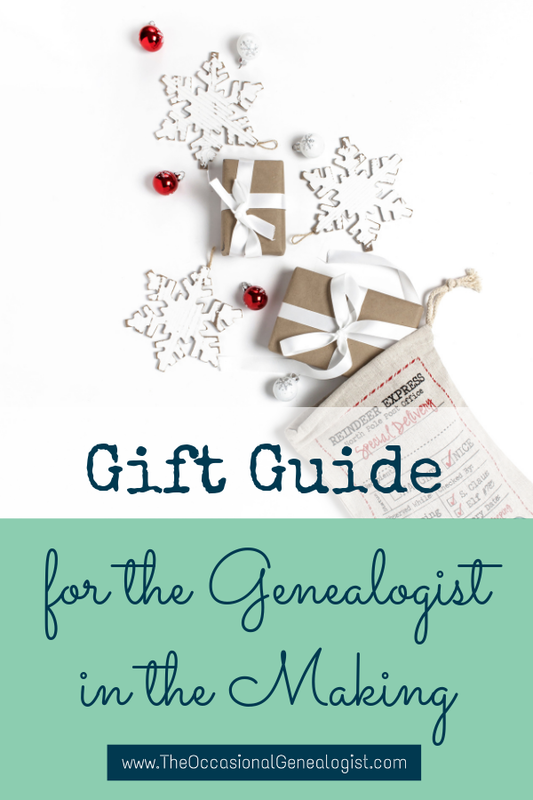 You could gift this for the genealogist-to-be to gather his/her own stories or so they could send it to a relative to gather the relative's stories. Think about newlyweds and new parents as well as older relatives with the family stories. This year I was actually approached to see if I would be willing to review a book to include in my gift guides. Wow! This is a beautiful book. 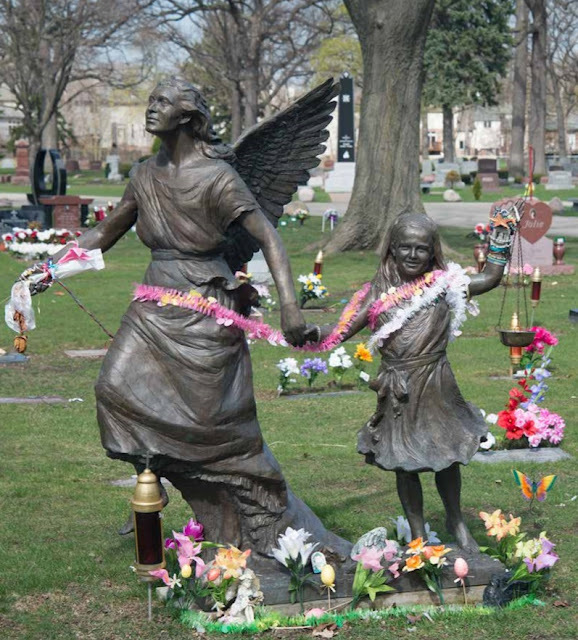 The book is Chicago Eternal and it's a coffee table book of pictures from Chicago cemeteries. I am not from the mid-west but I am a genealogist so I really enjoyed the variety of cemetery monuments (because it's so much more than tombstones). The pictures are really top notch. Normally with a product slightly outside my specialty, I wouldn't want a company to pay to have to ship me an item, I could review a digital item. But this book is all about the pictures. We own a few coffee table books and at least one was mangled by the publisher (gorgeous photos but some were not reproduced as they should have been). So, I had to see the book before I'd recommend it. Well, here it is, in digital black and white. Larry Broutman did a beautiful job of the photography. There is also some text, it isn't just pictures so if you are interested in Chicago history/genealogy even better. Here's one other cool thing that almost threw me off. The back section is in 3D! So don't flip the book open from the back and think something went wrong (like I did one time when I picked it up). The glasses are in the front so you can enjoy an old-fashioned virtual tour of some of the monuments. Here are a few sample images from the book, I promise, if these look good on your monitor, they look better in print! 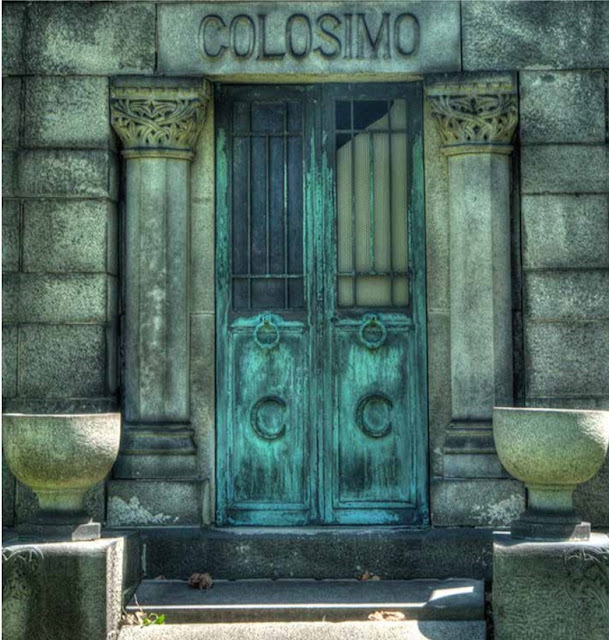 Of course, if your recipient's interests lie somewhere other than a cemetery or Chicago, there are many books of similar style but on different topics. If you're looking for a "small" gift, don't forget about the "Images of America" series which covers many small towns and is often available in a local books store (or check Amazon if you're looking for a not-local-to-you location). If you check out the comments, you'll see a suggestion from Emma to make sure you order anything in plenty of time plus a link to some AMAZING papercut family trees. These are gorgeous so I wanted to add a link in the post. Family Tree Papercuts from Twenty Fingers. This is a UK company and I hadn't thought about adding this option initially so I haven't looked into options for people outside the UK (i.e. when shipping is prohibitively expensive). In the U.S., the first place I would check is Etsy. This is a great place for genealogists to look for gifts for Christmas presents, wedding presents, family trees for a new baby, photo gifts for family reunions, or any other family tree gift or even family tree design ideas. 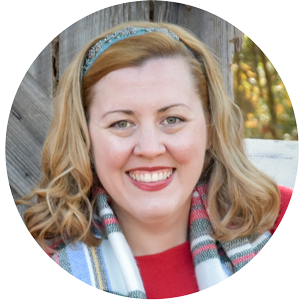 I'm a crafter so I love to create my own gifts using my genealogical research but if crafting or art is not your strong suit, there are lots of talented people out there who can create a personalized family tree or personalized family history gift. Check out Pinterest and Etsy for inspiration and then Google search for the type of product you want (that means it's not too early to start for Christmas, or wedding season, or any event as it may take a while to find what you want, have it personalized, and get it shipped to you or the recipient. ).